Suite Nine has a king bed and a small sitting room with a table and chairs. 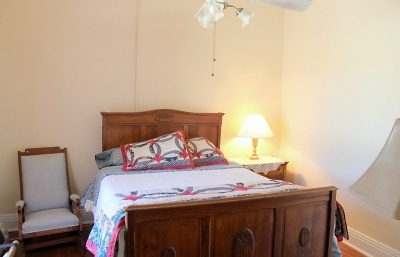 This suite can be expanded to include a second bedroom with a queen sized bed for an extra charge. 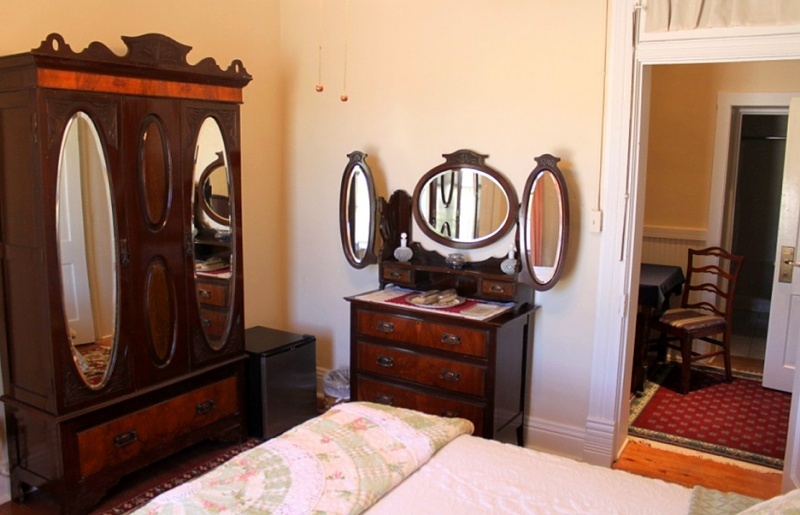 The furniture in the king room is Victorian and includes a mirrored armoire and dresser, both with elliptical mirrors and walnut inlays. 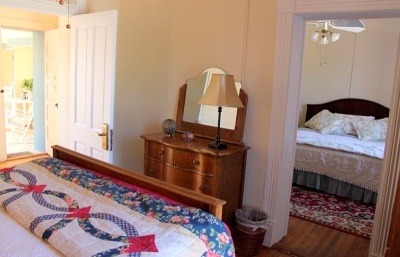 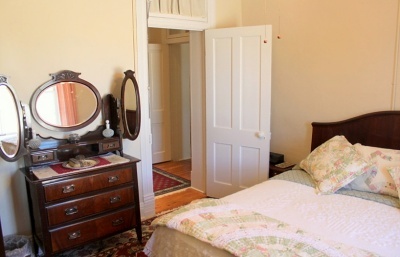 The queen bed room (optional) has a queen sized oak bed complete with acorn carvings and an antique rocker. This suite has a tile floored bathroom with a large shower.